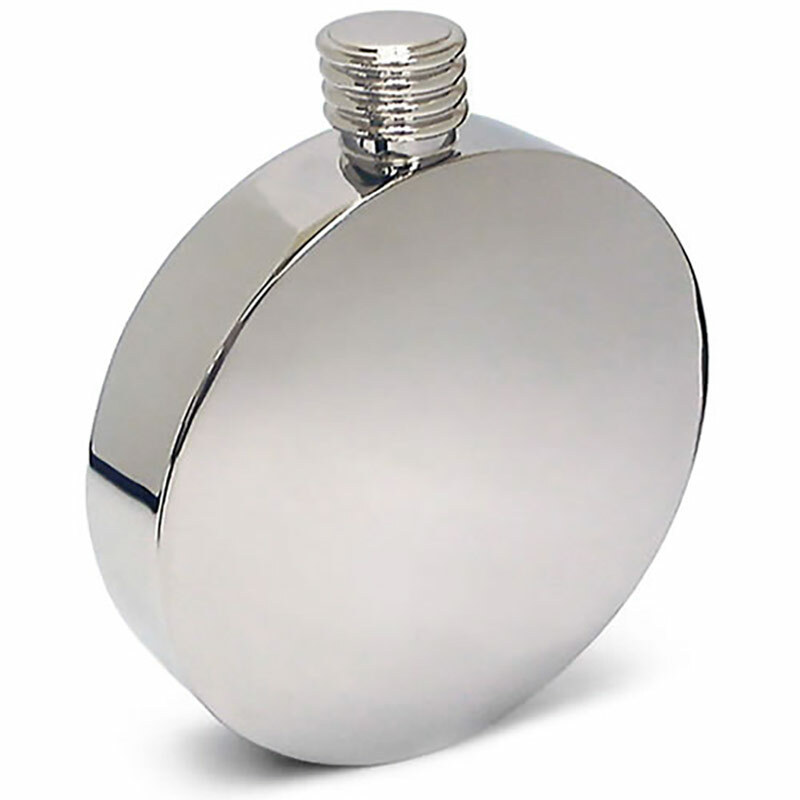 The all-round classic flask! These stainless steel round flasks feature a timeless circular design with a sturdy screw-top cap. They have a capacity of 5oz and are perfect as hip-flasks or pocket flasks for all types of outdoor activities, from equestrian events to golf. The stainless steel case of these flasks is ideal for engraving, and they are offered with FREE ENGRAVING of text and logos.